Home cooked salted peanuts since 1954. A 32 oz. 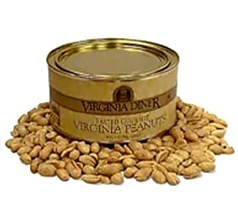 tin filled with gourmet peanuts from Sedley, Virginia in the familiar green and white label, shipped in its own peanutty box.